Author’s Note: This is a work in progress, so comments would be appreciated. The species Capsicum chinense spread throughout the Caribbean basin in prehistoric times, carried by indigenous people via boat from the Amazon basin to what is now Venezuela to Trinidad, and then through the Lesser Antilles to the Greater Antilles, and finally ending up in the Yucatán Peninsula. Land races developed on the different islands, such as ‘Bonney pepper’ in Barbados, ‘Scotch bonnet’ in Jamaica, and ‘Congo pepper’ in Trinidad. Further land race developments in Trinidad included varieties much hotter than the other Caribbean land races—in fact, collectively the hottest peppers in the world. 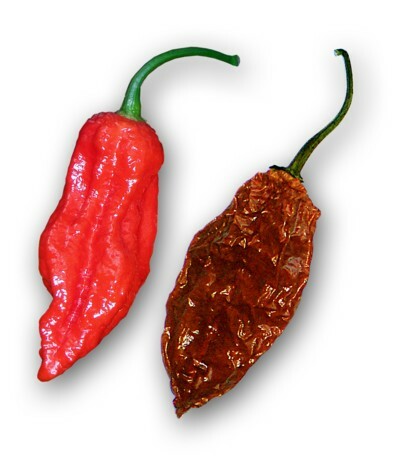 Evidence from historical sources and our testing shows that the following Trinidad varieties have Scoville Heat Levels greater than 500,000 SHU: ‘Bhut Jolokia’ (transferred to India c. 1854), ‘Moruga’ (both red and yellow), ‘Scorpion’, and ‘Seven Pod” (also called ‘Seven Pot’). The fascinating fact about all these superhots is this: all the hottest chile peppers in the world originated in Trinidad and Tobago. But how and why? Ever since the domestication of the five Capsicum species, with chile breeding, human choice is the most important factor in the development of new varieties. Humans are selecting the plants to use in breeding because they have more useful variations than the other possible plants. Horticulturists call this “differential reproduction,” and this term simply means that some parents will have more offspring than others because of human choice. Differential reproduction selects for more useful variations and against less useful variations. For example, in the development of the bell pepper from the poblano, pepper breeders were selecting for large size and reduced pungency, and they ended up with a very large pod with no pungency. And that entire breeding project began with a mutation that added to the genetic diversity of the population. Breeders used the mutation to start breeding the bell pepper and in successive grow-outs, selected the seeds from the largest and mildest pods until the bell was achieved. Using the bell pepper development as a guide, here is how I think the superhots of T&T were developed, sometime before 1854. They were unplanned and unpredictable. They radically raised the level of pungency. They added to the genetic diversity of T&T hot peppers. People liked the hotter peppers and planted those seeds. 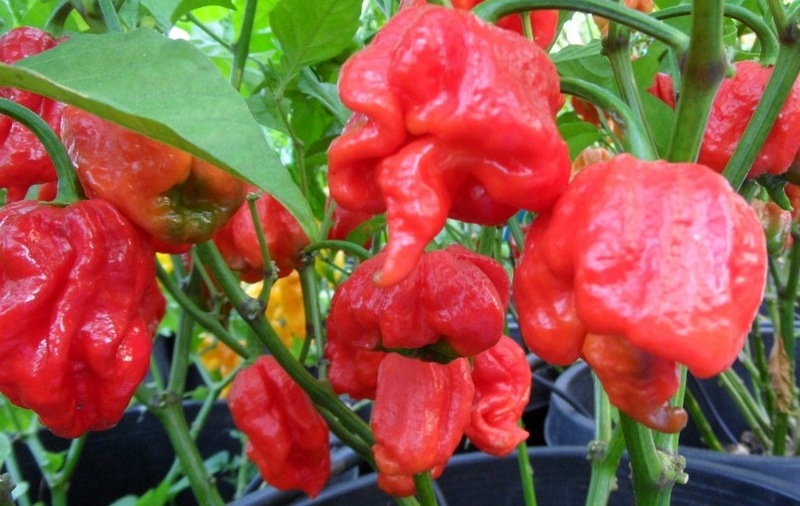 Therefore, the plants with genes for superhot chiles had more offspring than the chiles with other parents.The mutation was discovered in 2016 by Dr. Peter Cooke of the New Mexico State University Core University Research Resources Laboratory. 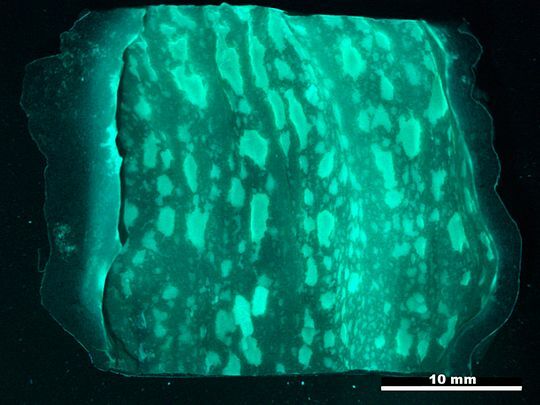 He managed to make the capsaicinoid sacs fluoresce in both jalapeños and Trinidad Moruga Scorpion peppers and then examined the pods with an electron microscope. Dr. Paul Bosland explained, “There, you could see that the jalapeño was fluorescing on the placenta, while the superhots would fluoresce all over the [inner pod] wall. It’s a very dramatic image to see, Right now we’re assuming this is a genetic mutation in superhots because we’ve never seen this in wild chile peppers.” Thus the superhots had more surface area for the capsaicinoid sacs than any other chile peppers. 3. In time, this differential reproduction caused by breeders (human choice), i.e., superhot peppers, became the norm in T&T. Therefore, if this scenario is accurate, the more useful variation was the extremely high pungency of the newly developed varieties. Now there is one final question to answer: Why was the increased pungency such a useful variation? To some cultures, the more capsaicin a pod contains, the more valuable it is. For example, if a person were preparing food for a feast, why buy seven chile pods if one would suffice to spice up all the food? 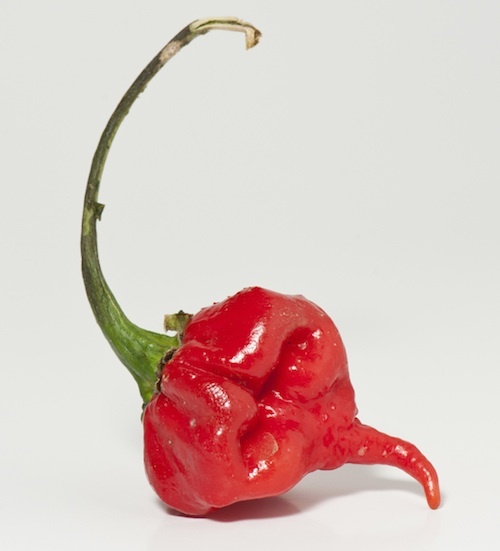 Hence the name of one Trinidadian chile variety, ‘7-Pot’, also called ‘7-Pod’, which supposedly got its name from the ability of one pod to spice up seven kettles of pepperpot stew. 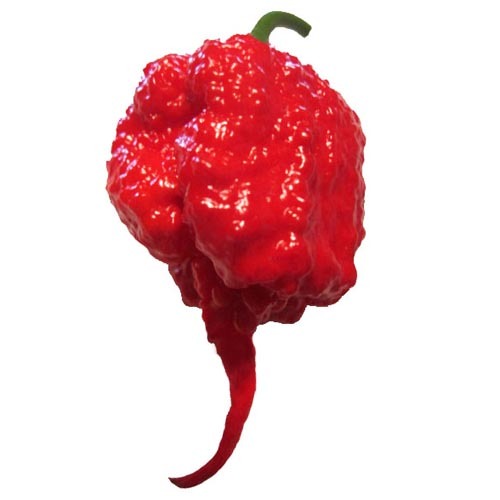 Given heat levels approaching one million Scoville Heat Units, it is perfectly conceivable that a single superhot pod, cut into seven sections, could accomplish this feat. Capsaicin in chile peppers is antibacterial and was used before refrigeration to reduce the spoilage of food, so the hotter the pepper, the greater its antibacterial powers. The more pungent a chile pod, the more powerful it is in fighting evil. The East Indian population of Trinidad wraps seven red pepper pods with salt, onion skins, and garlic skins in paper and passes it seven times around a baby to remove najar, the evil eye, which is believed to cause unnecessary crying. Also, green chiles are dropped around the doorway to keep away evil spirits. Hot peppers have long been applied to wounds to prevent them from becoming infected, so hotter peppers would work more effectively.